The RAGE COMBINE is a family and player favorite. A combination of hockey development, skills testing and family fun. 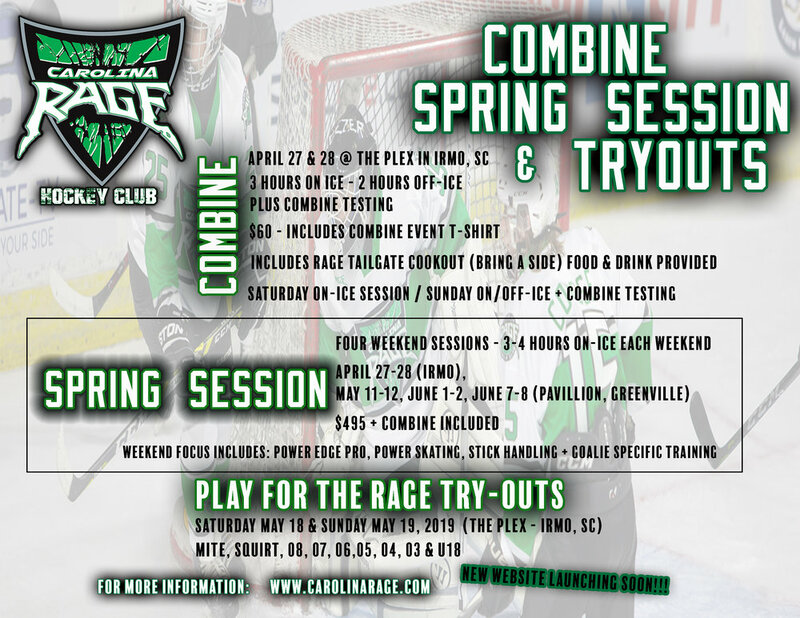 The Combine exemplifies the RAGE hockey family. Great hockey development combined with fellowship with your hockey family. Don’t just do hockey, do RAGE hockey. April 27 & 28th @ the Plex in Irmo, SC. Ice times to be published prior to the weekend. Includes RAGE 2019 COMBINE collectors T-Shirt. Please register each player separately. Thank you!